Small business life - the uphill climb to your success! With this blog, I’ll be sharing many things with you including posts about small business life. It’s something that is near and dear to me as I’ve been an entrepreneur my entire adulthood. Here’s a little story about a recent adventure and how it relates to my small business life! 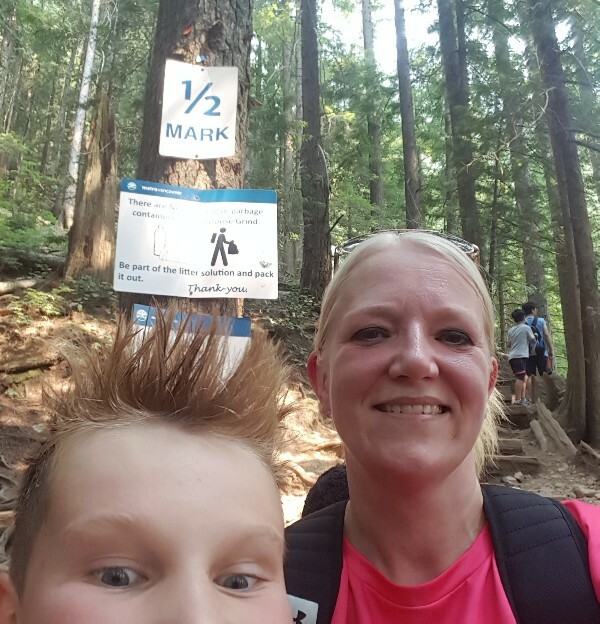 My son and I have enjoyed hiking around our area and we recently decided to try doing the Grouse Grind in North Vancouver. It seemed like such a “Vancouver” thing to do, so why not? 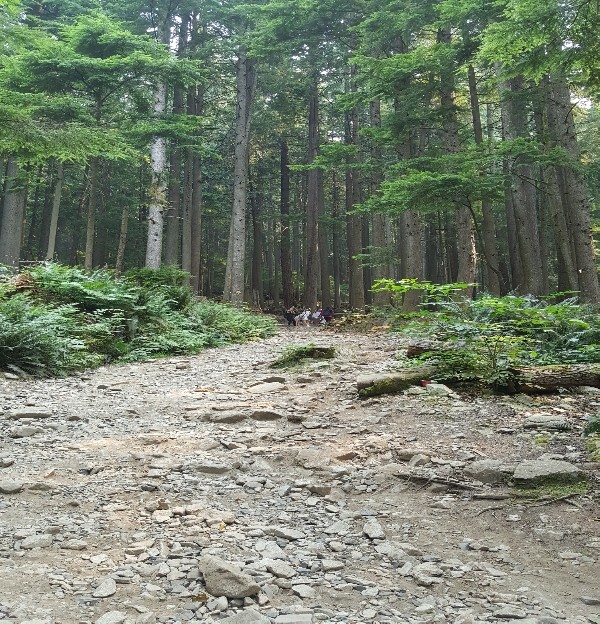 Though I knew that it was a steep vertical climb to the top, up the side of Grouse Mountain, I can’t really say that I was fully aware of what that looked like. We had done some Google-ing and read that it was 2.9km trail (seemed reasonable), that it had an elevation gain of 2800 feet (sounded steep) and was affectionately referred to as Mother Nature’s Stairmaster! Hmmm…was this still a good idea?! Over the next 2 1/2 hours, a very unusual thing happened. Not sure if it was the dehydration, overall fatigue or thin mountain air but I started to draw comparisons between our climb and life as a small business owner. Yup I know, it might seem like a bit of a stretch perhaps but the similarities were unmistakable. Small business life often feels like an uphill climb, maybe even the proverbial “grind” but some amazing things can happen along the way! 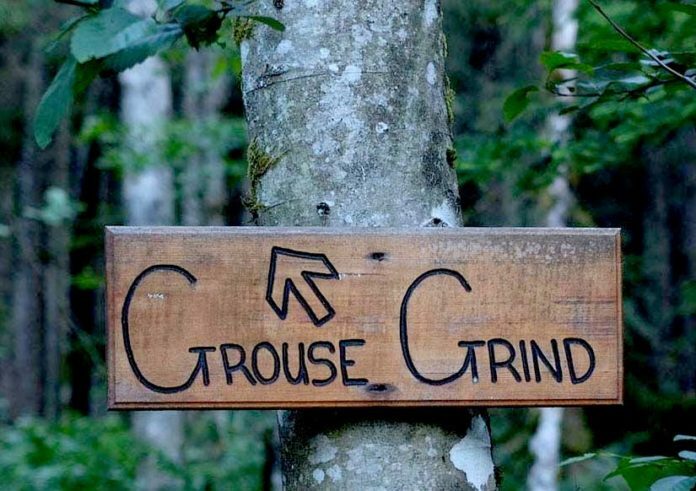 The start of the Grouse Grind trail in beautiful North Vancouver. To say I was a little excited about our hike would be an understatement! I’m almost certain I was a bit giddy at the start. It was that anticipation of something new mixed with a dash of uncertainty about what lay ahead. What was the trail like? Was it going to be crazy hard, a walk in the park or something in between? One thing was certain, this was going to be an adventure! Isn’t it true that we’re just full of boundless energy when we start planning or even thinking about a new business idea? Aren’t we just brimming with a thousand and one ideas? Is it because we know what lies ahead? Nope, quite the opposite. It’s that uncertainty, that trail we’ve never been on before that gets us so excited! That’s when you know you’ve got entrepreneurial blood flowing through your veins! We were feeling pretty good as we reached the quarter marker. The enthusiasm was still there even though the trail was starting to get progressively harder. Our legs were ok and we still had lots of water, despite the warm weather. We’d met a few other adventurous souls along the way. Some were prepared for the journey, with backpacks, water bottles and good hiking shoes. Others were not, as flip flops on their feet would seem to indicate a definite lack of planning! Some even turned back realizing that perhaps this wasn’t a journey they were ready to take. How many of us start our business with the best of intentions? I would suggest that most if not all of us do! We all want to be successful in our small business but wanting and preparing for success are indeed two totally different things. Did we do our research? Did we plan everything out? Are we prepared for anything, good or bad? A great idea or concept is only great when it’s supported with preparation. The halfway mark! We were excited to get there but then quickly realized we still have a way to go! To be honest, I met the halfway marker with mixed emotions. On one hand, I was elated to see we’d made it this far. On the other hand, that meant that we still had to go the same distance that we had just done…ugh! We decided to take a longer break and refuel with some snacks. This also gave us an opportunity to chat with the other resting hikers. Some had done the Grind before and offered us sage advice like “keep a steady pace”, “refuel often” and “it’s not easy but you’ll appreciate what you’ve accomplished when you reach the top”. That and the trail mix was the fuel we needed to keep going. On to the top! Small business life can sometimes be a lonely adventure. Of course our family and friends support us but they don’t necessarily understand or can even relate to what we’re experiencing. That’s where only another entrepreneur can help. Sure, we might be able to make it on our own but isn’t it better if we can learn from others? Isn’t it helpful to see what has worked or not worked for others who have blazed the trail before us? Couldn’t their experience help to make our “trail” a little easier? We were so focused on this last leg of our journey that we almost missed the 3/4 marker! One kind soul had told us that the trail got easier after the halfway mark. Well, I beg to differ. In fact, it got harder! The incline became more, well, vertical! There was a point where I stopped and just stared up. I almost wanted to cry. It felt like there was nothing left in the tank. It does seem that when you feel you have nothing left to give or the odds are stacked against you, you truly find that internal fortitude to keep going. It’s amazing what we can accomplish when we don’t try to talk ourselves out of it. Small business owners know that feeling all too well. Everyday, every single day, we have to tell ourselves keep going. To survive (and thrive) in business that’s just what you have to do. Others will help, encourage and support but they cannot do it for you. That’s on you. Yay, we made it to the top! 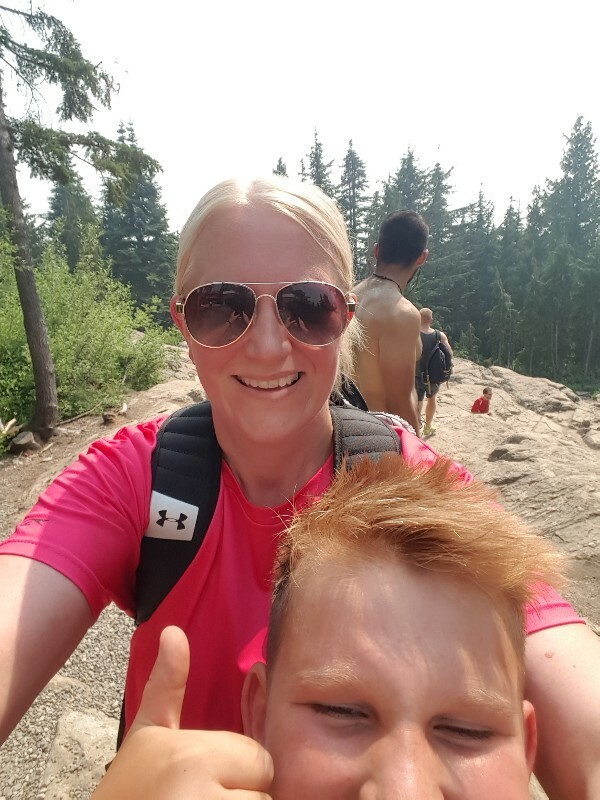 Oh what a feeling when we finally reached the top of the Grouse Grind! We were hot, tired and a bit sore but thrilled that we had made it. The hike had been tough, no doubt about it but achieving our goal was a pretty awesome feeling! Small business life is a grind. It can be hard, relentless and often unforgiving. Some days will seem impossible to overcome. No matter what difficult trails lay ahead in your small business journey, know that it’s in you to succeed. Feeling inspired to try the Grouse Grind yourself? Check out their website for more details. Next articleThe Cake Mama’s 5 small business tips!